Before you became a parent, a highchair was just a highchair right? But then you have a little one and you realise it’s a jungle of choice out there! You end up dithering over whether to go for a plastic one, a wooden one or just stick with a booster seat. Then you see something like this and want that one! 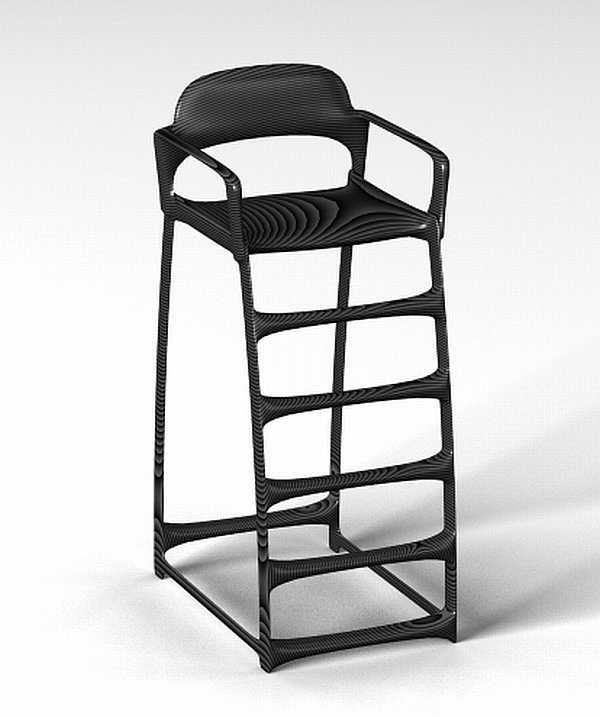 Turkish designer Onur Mustak Cobanli has come up with this great concept design, the Merdiven Kids Chair. His idea is that a highchair shouldn’t be just a highchair, but something a kid can climb up and play with, as well as for eating at the table. Crafted from wood, the plan is for it to come in different colours. Hmm, I wonder if the final design will include a little safety net around the bottom for those inevitable tumbles? You may not be able to buy this highchair, but you can compare the ones you can buy with our handy Chooser!